Schwannomas are tumors that arise in the Schwann cells found in the sheaths that surround nerves. Oftentimes, schwannomas are benign, but can still cause serious medical problems. The acoustic neuroma, for instance, which is the most common variety of benign schwannoma, can result in deafness because it occurs on the cranial nerve associated with hearing. Similarly, other symptoms that arise from schwannomas are often related to the loss of function of the nerve they affect, but the tumors may also simply manifest themselves in the form of pain or may be asymptomatic. 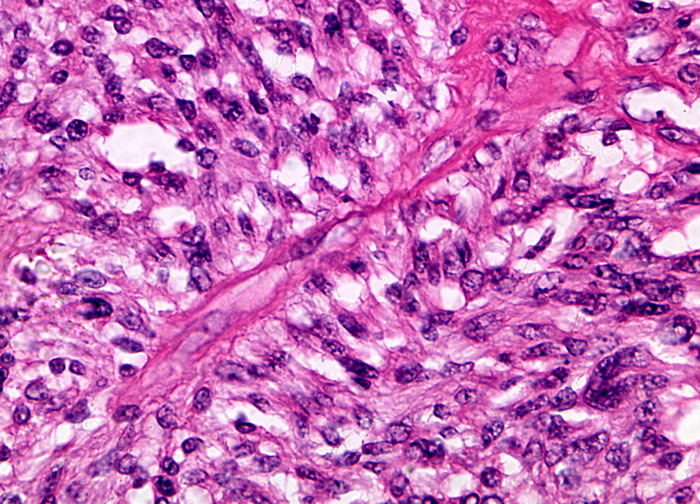 Schwannomas can develop anywhere in the body where Schwann cells are present, but most commonly occur in nerves in the lower back, upper arms, or legs.